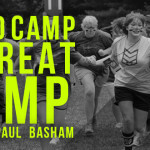 Camp is one of the most exciting events for student ministries every year! Year after year student pastors see God moving and working in the lives of their kids to save them, free them from sin, and call them into His purpose. Knowing the power of a week-long retreat like this, there must be great attention paid toward protecting this experience, because the truth is that Satan does not want this week to happen! He will do whatever he can to disrupt and distract in an effort to thwart the work of God. One of the easiest things that you can do as a student pastor is to make sure that you have laid out clear guidelines for camp. Something as simple as setting a standard, and then holding to that standard, can keep pranking and other inappropriate behavior at a minimum. For the most part, your camp drama will come from students, but there is always a chance that you will have issues with one or more of the leaders that you take with you to camp. Having guidelines for them is important as well, both so that expectations are clear, and also for safety within leader/student interactions.